Jammu. 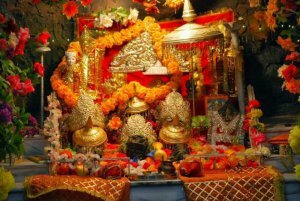 In order to visit the Holy Shrine of Mata Vaishno Devi Ji, one has to reach Katra, a small town situated around 50 kms. 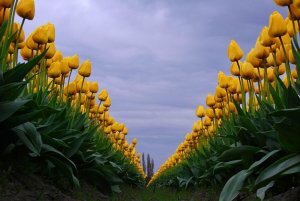 from Jammu, the winter capital of the state of Jammu & Kashmir. Katra serves as the base camp for the yatra. Katra is well connected to Jammu and Jammu, in turn, is well connected to the rest of the country by Air, Rail, and Road. The average flying time from New Delhi is about 80 minutes. By Train One can also reach Katra by rail. By Road Jammu is well connected through road also to rest of India. National Highway No. 1A passes through Jammu towards Srinagar. Regular bus services from all major North Indian cities are available for Jammu as well as Katra. Many standard and deluxe buses of various State Road Transport Corporations as well as private operators connect Jammu with important cities and towns of North India. Passengers using Air or Rail as a mode of travel have necessarily to break their journey at Jammu and from thereon select an alternative mode of transport. However for passengers traveling by road, either through public or own transport, there is an option of taking a by-pass from Kunjwani, nearly 10 kms. off Jammu and heading straight for the base camp i.e Katra. 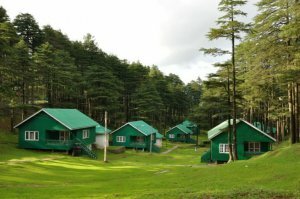 The option of a halt at Jammu is thus entirely with the yatri although many yatries would like to spend more time in Jammu and visit the temples and other landmarks there. 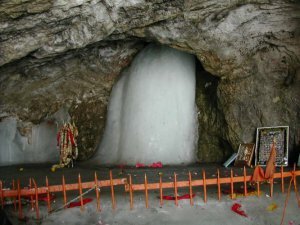 Amarnath is regarded as one of principal Hindu Dhams. 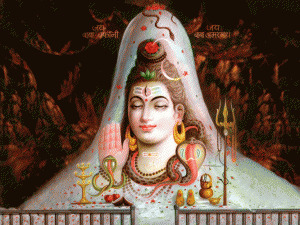 The holy cave is the residence of the holy trinity, Shiva lord. The guard of the absolute, lord Shiva, the destroyer, is present in the form of ice Lingam in this cave located at a more remote end of the valley of Lidder. This lingam is made naturally of a stalagmite of ice which awakes and weakens with the moon. The trek to Amarnath Yatra begins at Srinagar on the panchami day of the bright half of the month. The next halt enroute is Pampur, 9 miles south east of Srinagar. Subsequent halts are at Avantipur, Brijbihara and Martand. Martand is known for its ancient temple dedicated to the Sun God - now in ruins. Enroute to Martand are Anantnag and Gautamnag. Martand is known as the architectural lion of Kashmir. It is a temple with a colonnade of 84 columns full of artistic work. This temple dates back to Lalitaditya of Kashmir of the 8th century. 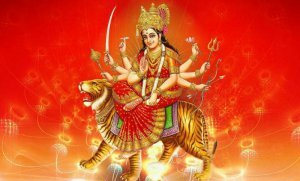 The next halt is at Aishmukam, and the next is Pahalgam, which is reached on the day of Dasami, the tenth day of the bright half of the month. At Pahalgam is the confluence of the rivers Seshnag and Liddar. Next the enroute of stop is Chandanwadi, from where the confluence of the rivers Asthan Marg and Seshnag. Promote is to the top Pishu Ghati, thought to be the site where the demons were crushed by the gods. Promote is to the top the lake Seshnag with a size of approximately 12000 feet above sea level. The next halt is at Wavjan before to raise it stiff with the passage of Mahagunus to a size of 14000 feet, after which there is to the bottom a slope carrying out to Panchatarni. From here, the cave of Amarnath is reached the day of full moon, and the pélerinage is complete.